On a recent Called to Coach: Singapore Edition, we spoke with Gallup-Certified Strengths Coach, Kenneth Tan. 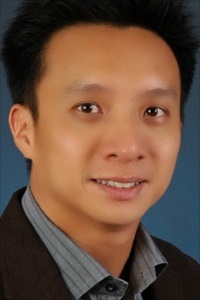 Kenneth is the Director of the Office of Student Life at Singapore Management University (SMU). The Office of Student Life "encourages meaningful [student] participation in co-curricular activities for an active and balanced life, complementing the educational mission of the university." In his role, Kenneth has used his dominant relationship-building themes and strengths coaching practice to transform his work with students. Kenneth infuses strengths into the student body of SMU through one-on-one mentor relationships with students who visit his office. He says that SMU students hunger to know and understand their strengths. He explained, "Students [at SMU] are very intrigued about uncovering and understanding their strengths, and applying them to their personal and professional lives." Based on this campus-wide desire for strengths, Kenneth hopes SMU will emulate Gallup's strengths-based approach to higher education organizations in the U.S. He is currently spearheading talks with SMU leaders on bringing more strengths awareness and education to campus. 1. Organize a learning event where employees and leaders discover their Clifton StrengthsFinder results. 2. Conduct strengths awareness sessions to discuss the qualities of employees' and leaders' strengths. 3. Focus on understanding how to apply strengths to enhance employees' and leaders' careers. 4. Measure the performance of those that have completed the AAA Approach to demonstrate that they have achieved better performance. Several organizations have implemented this approach, including an international bank that experienced improvement in its bottom line. Guided by his talents, Kenneth relies on his awareness of people's feelings, thoughts, or needs to guide him into and through partnerships. professionally, Kenneth is the Principal Trainer and coach in a local consultancy firm and has vast leadership and work experience in the private, public and people sectors. Kenneth's top five strengths are: Empathy, Connectedness, Developer, Individualization and Adaptability.